Aimed at photographers who are looking to make their first move into full-frame photography, the Canon EOS 6D Mark II follows on five years after the original 6D made its debut. As you’d expect, it features a range of improvements from its predecessor. There’s a new sensor, which now boasts 26.2 megapixels. It is paired with Canon’s most advanced processor, the DIGIC 7, which should mean we see considerable improvements in speed and in noise performance at high ISOs. This is the first time that the newest DIGIC 7 processor has been used with a full-frame Canon DSLR. Other new features include the addition of inbuilt connectivity options (Wi-Fi, NFC, Bluetooth), a touch-sensitive articulating screen and Full HD video recording at 60p. It’s also possible to record 4K time lapses in-camera. When the 6D was launched in 2012, it didn’t have too much in the way of competition when it came to entry-level full-frame models. These days, it not only has to compete with the likes of the Nikon D750, but also full-frame mirrorless models from Sony - such as the A7 II. 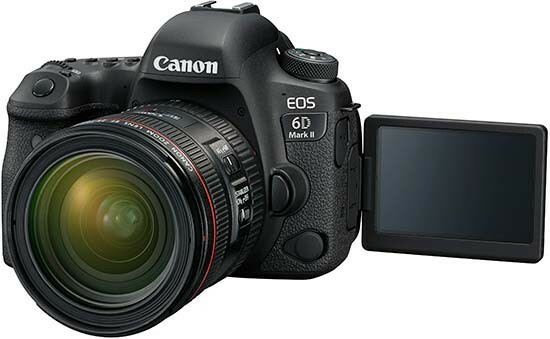 At the time of writing, the Canon EOS 6D Mark II retails for around £2,000 / $1999 (body only). Side by side, you’d be hard pushed to spot much of a difference between the original 6D and the Canon EOS 6D Mark II (the latter is actually a tiny bit smaller) - the only obvious marker from the front is the name badge. The camera doesn’t have quite the same top-end feel of something like the Canon EOS 5D Mark IV, but regardless of that, it still feels very well-built. Indeed, the camera has dust and weather-sealing, giving you confidence to use it outside during less than favourable conditions. The grip is nice and large, featuring a textured coating to help it feel secure in the hand. The range of dials and buttons on the Canon EOS 6D Mark II is almost identical to its predecessor, so if you’re thinking of upgrading from your existing camera, you should be at home. There’s also quite a few similarities between the 6D Mark II and something like the 7D Mark II, so if you’re making the leap from APS-C to full-frame, you should also feel comfortable. On the top of the Canon EOS 6D Mark II, there’s an LCD screen which displays key shooting information, such as aperture and ISO - this was also found on the original 6D, too. You can use a button to illuminate the panel, which is handy if you’re shooting in low light conditions and want to check your settings. Across the top of the LCD screen is a set of buttons which have a variety of functions. There’s one to allow you to change the AF type (single shot, AI Focus, AI Servo), another for choosing a drive mode, another for adjusting ISO, and one for choosing the metering mode. 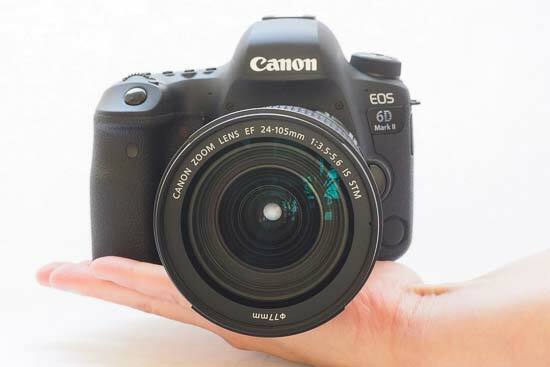 A scrolling dial is found just behind the shutter release button, and is conveniently located for your forefinger to find when holding the Canon EOS 6D Mark II in the normal way. The dial adjusts shutter speed or aperture, depending on which mode you’re shooting in. 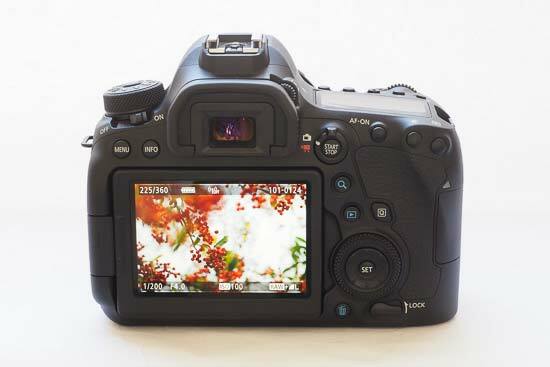 A small button to the side of the scrolling dial is used to select AF point selection - this is a new addition to the camera, as the 6D Mark II has a much more advanced AF system than its predecessor. There are now 45 cross-type AF points, up from the 9-point (1 cross-type) AF system found on the 6D. The 45 points are still clustered towards the centre of the frame, meaning you will have to focus and recompose if your subject lies towards the outer edges of the frame. 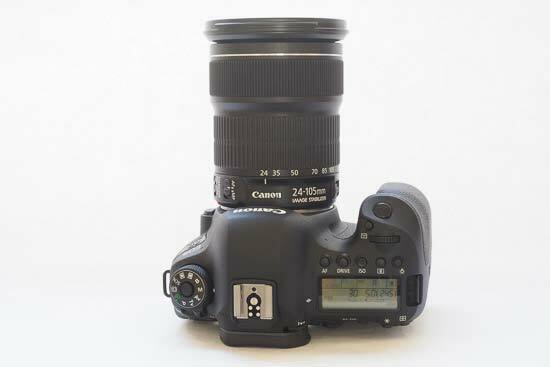 On the top left of the Canon EOS 6D Mark II is a mode dial, which features the usual range of manual and semi-automatic options (including aperture priority, shutter priority). There’s also fully automatic, creative auto, scene modes, Bulb and space for two groups of custom settings to be accessed - these can be very useful if you often find yourself photographing one particular type of scenario (such as low light). Switching to the back of the Canon EOS 6D Mark II and there’s a familiar layout. There’s a scrolling dial which you can use for various functions, including setting the aperture when shooting in manual mode. There’s a Live View button, which is also how you activate video recording. New for the 6D Mark II is the ability to shoot at 60p when recording in Full HD - previously it was limited to 30p. You can change this setting in the main menu - sadly there’s no 4K shooting available here. A quick menu is very useful for speedily accessing different shooting settings and can be activated by pressing the Q button. When in the Quick menu, you can either make changes by tapping on the screen, or by using the directional keys to choose the settings you wish to alter. Several of the buttons on the 6D Mark II can be customised to control different options, depending on your preferences - you’ll find the option to do this in the main menu. Perhaps one of the biggest enhancements to this model is that the screen is now both fully articulating and touch-sensitive. The Canon EOS 6D Mark II is the smallest full-frame DSLR in the world, a feat made all the more impressive by being the only one to include a fully-articulating device. Other cameras, such as the Nikon D850, have tilting screens, but an articulating screen is more useful for shooting portrait format images, or images from the front. The touch-screen is also very well implemented, being available for use for changing settings in the menu, but also for setting the AF point when shooting in Live View. You can also set it to fire off the shutter release if you like, which can be useful for photographing things like macro subjects. The viewfinder has been marginally improved from its predecessor. This optical device features 98% coverage, up from the 97% of the 6D. While it’s a bright and clear display, not being able to view 100% of the scene can occasionally lead to something creeping into the edge of your shot when you don’t want it to. You get used to composing with that in mind, but it’s a little bit of a disappointment for a camera at this price point. When it comes to autofocus, this is another vast improvement over the original 6D. The 45-point system is similar to that which is found in the Canon EOS 80D, rather than the more advanced 61-point system found in the 5D Mark IV. Further good news is that all of the points are the more sensitive cross type, which is useful when attempting to lock onto focus in tricky conditions, such as low light. Generally speaking, the autofocus system locks onto the target very well and very quickly, with the only hesitation taking place in very dark conditions - the camera is sensitive down to -3EV though so you may find that there aren’t too many occasions that the Canon EOS 6D Mark II can’t perform. 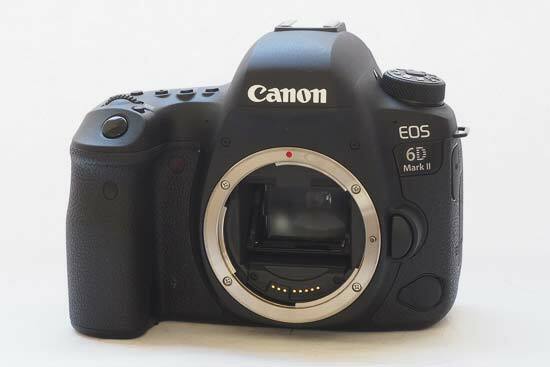 In Live View, the 6D Mark II has Canon’s Dual Pixel CMOS AF on board to help produce fast and precise autofocusing - it’s a definite marked improvement from the original 6D which struggled in this area. If you’re looking to tackle moving subjects, the Canon EOS 6D Mark II copes well if you’re tracking something which is moving at a reasonable pace and in an obvious pattern. The camera has seen a boost in frame rate, and can now shoot at 6.5fps. While that’s not on a par with the likes of some of the best cameras out there at the moment, it’s a good improvement from the 4.5fps of the original 6D, and is enough to capture the odd sporting moment or two. If you’re frequently shooting sports and action above anything else, you may be better off with the Canon EOS 7D Mark II, which although APS-C is better suited to this kind of subject. Just like the original 6D, the Canon EOS 6D Mark II is equipped with a single memory card slot. Enthusiasts may be disappointed to note that this is an SD card slot, but if you’re coming from Canon’s APS-C line-up and have a stock of SD card slots already, you might be more pleased. Bad news is that the 6D Mark II is not compatible with the ultra-fast UHS-II format - you’ll be able to use UHS-II cards in the camera body, but there will be no speed advantage to using much cheaper UHS-I cards. Although mirrorless cameras have been giving traditional DSLRs some serious competition for a little while, one area where the DSLR is still king is battery life. The Canon EOS 6D Mark II is officially rated for 1200 shots, but it’s possible to get more from it, depending on what you do. If you use the Wi-Fi a lot you may see a drain in battery life, but otherwise, this is a camera you can rely on to last you a good long while longer than the average mirrorless model.